E-commerce have shown enormous growth in the last few years. Sources say that the retail e-commerce sales around world will reach 12.8% in the year 2019 from 7.4% in 2015. Get your store online, expand your boundaries and do not limit your customer reach, if not you will be left behind in the market share. E-commerce is popular because of its vast advantages. It is very convenient for everyone to shop anytime, anywhere and in any device instead of visiting the shops in person. Researching the products online is much simpler and more efficient than in stores with features like product comparisons which are offered by most e-commerce portals. Running an e-commerce business requires far less capital investments compared to owning physical shops. No need to invest on recruiting sales staff, rentals for high end retail stores and unwanted overheads. The only responsibility on you have in an online shop is to promote your website and deliver quality products on-time to the customers. In this competitive market, those who satisfy and exceed customer’s expectations are going to experience tremendous sales in 2016. After Google’s Mobilegeddon update, e-commerce sites are concentrating more on mobile commerce also as well. 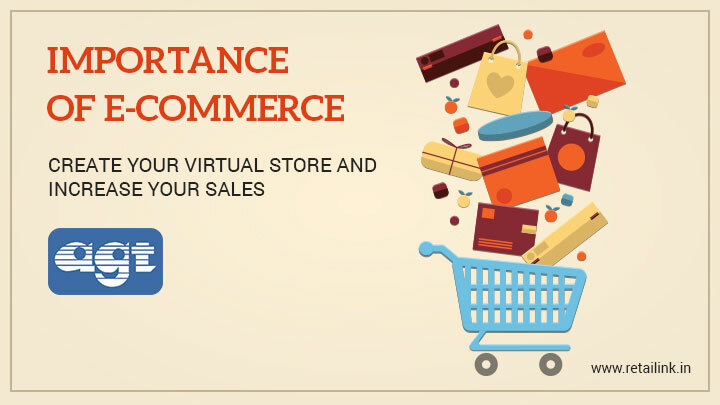 Do not waste your time developing custom softwares for e-commerce portals, go with ready to go portal providers like retailink and create your virtual store to increase your sales manifold.